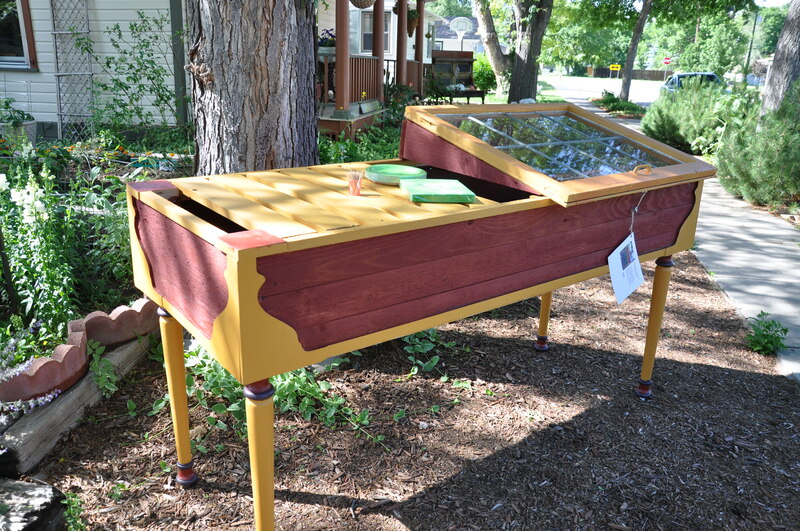 The tour has returned to downtownLoveland, winding through the cozy west side neighborhood to visit seven amazing gardens. 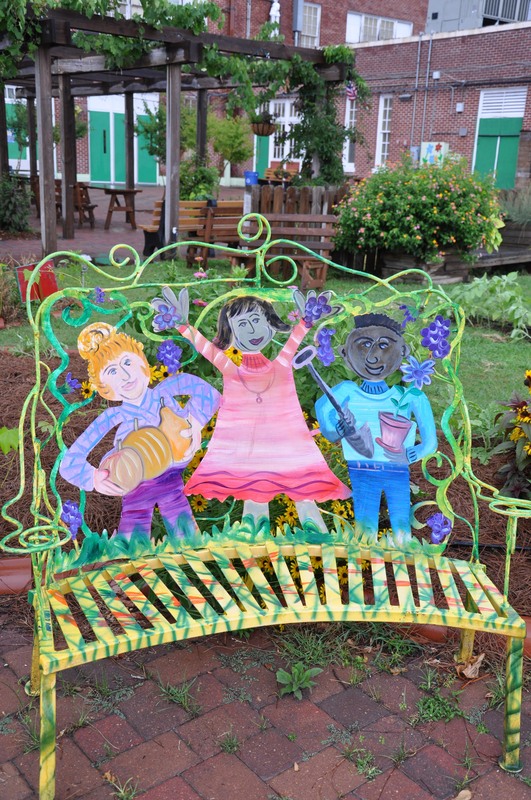 At each stop on the one-mile walking tour you’ll find gardens hand crafted by the gardeners who live there, personalizing their yards with raised beds, trellises, and an assortment of found items sure to make you reconsider tossing anything away. Following the map during the pre-tour event, I was amazed at the sense of community this tour has; you’ll find yourself waving hello to neighbors as you walk past, or stopping for a quick chat over a garden fence at a nearby home. Arriving at tour stops, you’ll goggle over front yards filled with perennials, roses, or shrubs, but don’t be fooled into thinking that this is all there is to see. 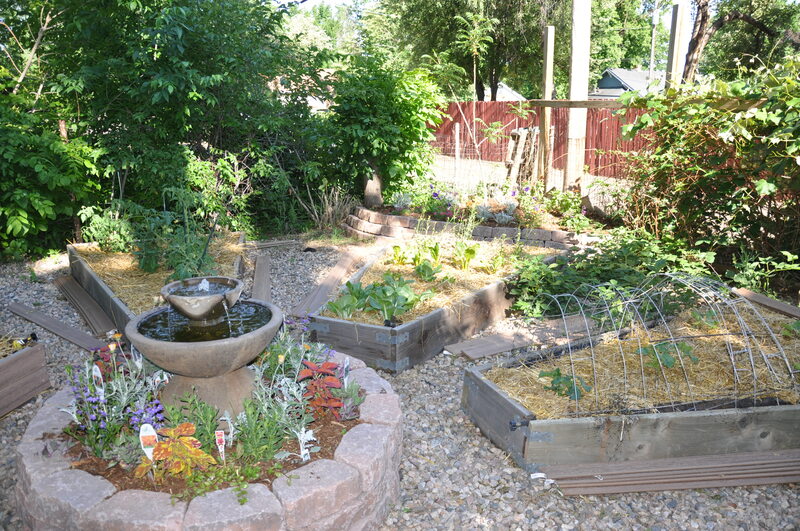 No, the inspired organizers take you behind the fences and into backyards that are a sheer delight, their hidden beauty a breathtaking example of the artistry of gardeners. From formal beds and Asian-influenced screens to chickens and Rocky Mountain Natives, the gardens are true gems to be savored. The copper-topped beehive in garden 3 caught my eye, as it’s easily the most beautiful bee box I’ve seen. 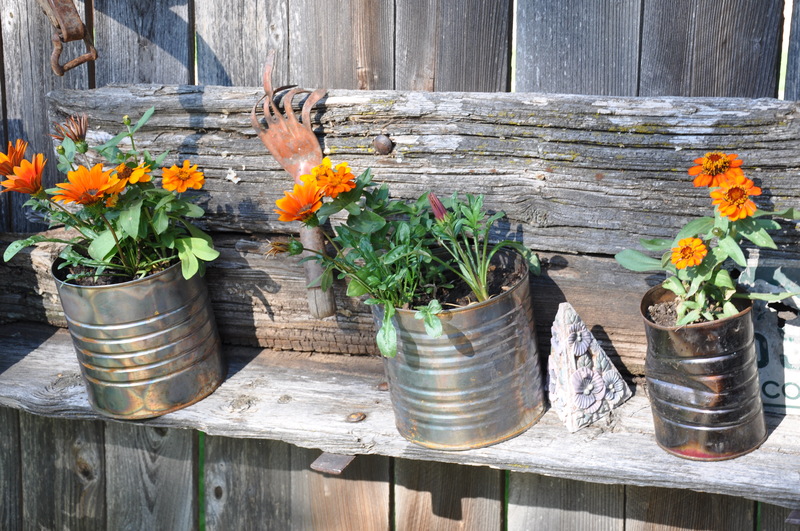 Local artists also get in on the act, with displays of metal sculpture, furniture, birdhouses, stepping stones, and truly lovely potting benches. Art is for sale so if you find a piece you like, snap it up before it’s gone home with another gardener. Tickets are $15 (children 10 and under free) and are available at Earle’s Loveland Floral & Gifts, Gateway Garden & Home Center, Loveland Garden Center, Rabbit Shadow Greenhouse, Rowe’s Flowers & Gifts in Loveland. InFort Collins, find tickets at Bath Garden Center & Nursery, Fossil Creek Nursery, Fort Collins Nursery, Wild birds Unlimited, and Gulley Greenhouse. Once June turns the corner toward July, one question burns in the mind of gardeners: How much is a sweet, decadent cherry pie worth? With each day the harvest grows closer, having you — and the birds — dreaming of the first tree fruit of the season. But it comes at a cost; we have to protect those cherries. So we try netting using the unfurl-with-a-snap approach, the two person banner toss, and the death defying fling from the ladder, all to no avail. There’s no dignified way to do this, and we’re left performing the Dance of the Seven Veils trying to get the net on the tree while the neighbors drag out the lawn chairs to applaud. There has to be a better way, and finally, we have one. Hauser designed a simple tool that makes placing bird netting on fruit trees fast and easy. Called Netbrella, it consists of a wheel with spokes attached to a center pole. When the bird netting is wired to the rim of the wheel, the structure resembles an umbrella, which you lift above the canopy and tie to the trunk of the tree. Laying out the netting in the backyard of his one-acre property in north-eastBoulder, Hauser demonstrated the simplicity of setup for the tool. “It’s all in the fold. You do it right and one side will fall one way from the wheel, the other falls the other way.” Hoisting the wheel upright, Hauser walked to a dwarf Northstar cherry, centering the netted wheel above the trunk of the tree and securing it with soft rope. Unfold the netting from the top of the Netbrella and it drapes around the branches, protecting the fruit. “Make sure you stake the netting securely to the ground every eight inches, or those robins will crawl underneath and make themselves fat on your cherries,” said the 84-year old chemical engineer. The time to net a cherry tree is now, protecting your fruit before it begins to change color. Birds start their inquiries into cherry ripeness once the fruit blushes yellow, pecking at the unripe fruit instead of waiting until it’s fire engine red like the rest of us. This nifty gizmo works well on dwarf fruit trees, but isn’t the solution for those of us with semi-dwarf or standards; we’ll still have to struggle through the tribulations of netting our fruit. But those who have smaller trees can get them netted in a span of a half hour, instead of an entire day. Netbrella is sold as a modest kit that contains custom pipe fittings, rope, and twist ties used for attaching the netting to the wheel. You’ll have to purchase the PVC pipe for center pole and spokes plus flexible pipe for the rim, but Hauser includes detailed instructions for assembling. The kits come in two sizes: small for trees up to seven feet tall and wide ($12), or large for trees up to 10 feet tall and wide ($18). Netting is also available from him ($34), or purchase your own. It didn’t look like much of a school, with the barbed wire fencing and modular classrooms crowding the yard. But FirstLine Charter Schools founders saw in it the potential to take a failing program and turn children’s lives around. But ten days after opening their doors in 2005, Hurricane Katrina struck, bringing five feet of flood waters to smother the school grounds. Out of destruction an ambitious recovery formed, and with the help of dedicated volunteers and a bit of star power, the humble grounds of Samuel J. Green school transformed into Edible Schoolyard New Orleans. 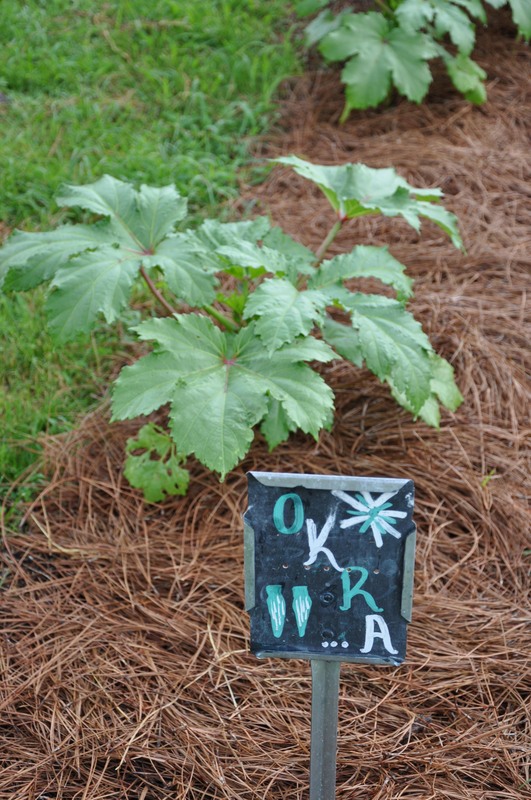 Sowing, growing, harvesting and cooking are part of the curriculum served up at this innovative k-8 school. In the aftermath of Katrina, many sought ways to help, including Chef Alice Waters of Berkeley, California, founder of Chez Panisse Foundation the organization devoted to promoting Edible Schoolyards. Networking with local food legends such as Emeril Lagasse and New Orleans Saints Quarterback Drew Brees, Waters pulled in funding and support for the project and in 2006, the garden opened. Where modular classrooms stood, the one-third acre garden grows, flush with late season harvest of eggplant, tomatoes, peppers and garlic. Yearly, 3,000 pounds of produce is harvested, going into the huge teaching kitchen for children to learn the finer points of food preparation, table manners, and teamwork. Large windows of the kitchen overlook the garden to reinforce where the bounty comes from. “When we started there wasn’t one piece of fresh fruit or vegetable given to the kids by the contracted food supplier. 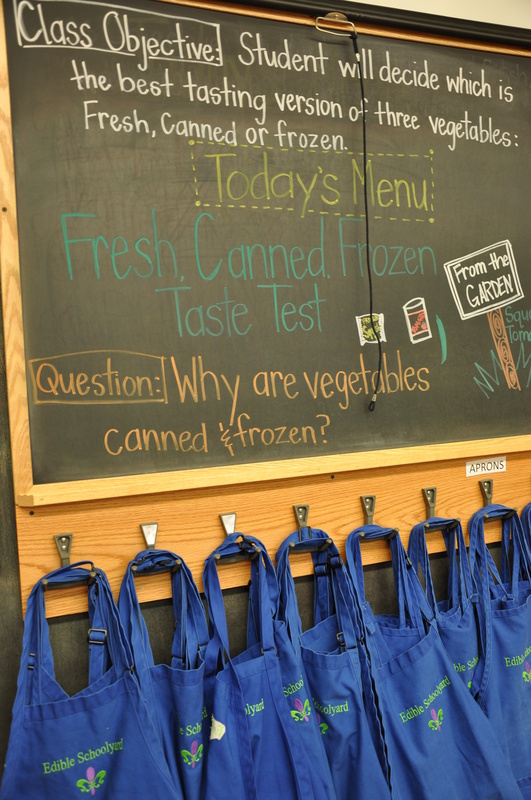 Here, 98-percent of the kids are from families at or below poverty income, but they were dumping their food in the garbage can even though they were hungry,” said Alison Heston, School Food Outreach Coordinator. Now they get three servings of fruit per day, plus whole grains and all the food is made from scratch. In total, the 490 students receive 24 lessons over the course of the school year, where chef April Neujean leads the class by holding up the ingredients, talking of them, then letting the kids touch and smell the food before working on the day’s dish. Teams work together to chop and cook the meal. 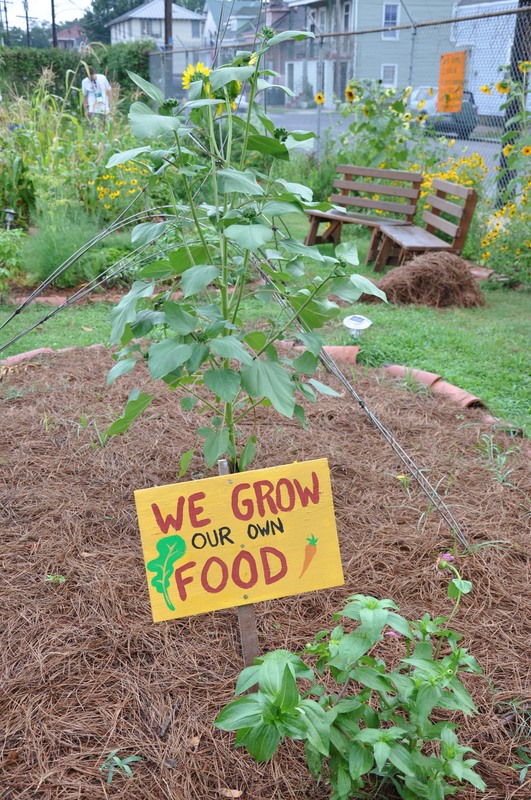 To solidify community ties, every other month the school hosts an open garden day, where the neighborhood is invited to stop by for tips on gardening or harvest. In off months, youth leadership program participants learn small business skills by selling the produce at the Farmer’s Market. Sustaining the garden takes investment by community leaders in order to fund two full time staff and support the 20 to 25 volunteers that help in the garden each week. With competition for dollars fierce, the school thought creatively and garnered support from a pantheon of food stars such as the Emeril Lagasse Foundation, Ruth U. Fertel Foundation (of Ruth’s Chris Steakhouse), Slow Food New Orleans, Crescent City Farmer’s Market, and the Culinary Corps. Their vision paid off: student performance has improved greatly, moving the school from one of the city’s worst performing to one-star status. There’s a thug lurking in your neighborhood, taking every opportunity to attack your precious tree fruit. With oozing droplets and a hoard of unwitting helpers, it moves from tree to tree, torching twigs and branches until the tree looks scorched. Evidence of the infection becomes more obvious as we head into June. Fire blight is a bacterial disease that affects certain plants in the rose family. It is especially destructive to apple, pear, quince and crabapple. It attacks in spring, when temperatures reach 65 degrees F and frequent rain occurs, and then bacteria overwintered in cankers on the tree resume activity, multiplying rapidly. Though the good news is that we’ve had some rain and humidity, the bad news is: the recent weather created good conditions for this damaging disease. This is when masses of bacteria are forced through cracks and bark pores to the bark surface, where they form a sweet, gummy exudate called bacterial ooze. Insects such as bees, ants, flies, aphids and beetles are attracted to this ooze, pick up the bacteria on their bodies, and inadvertently carry the bacteria to opening blossoms. Bacterial ooze splashed by rain also can spread the disease. Young branch tips can be infected through air openings on leaves, called stomata, air openings on branches, called lenticels, or, more commonly, through wounds created by pruning, insects, or hail storms. There is no cure for this disease, so prevention is the best solution. Fire blight control methods include use of resistant varieties, cultural practices, pruning and spraying. Using resistant varieties is the most effective prevention method, but keep in mind that resistance doesn’t mean immunity. Remove and destroy newly infected young twigs as soon as possible, so that your tree doesn’t become the mother ship for disease in the neighborhood. Do this when no rain is predicted for at least two weeks. It may be best to leave pruning until winter when the bacteria are not active. This reduces infection on the tree and the number of bacteria available to infect healthy blossoms and shoots. In young twigs, make cuts at least 12 inches below the dark, visible edge of infection to avoid slicing into the bacteria. Remove all blighted twigs and cankered branches. Prune larger limbs about 6 to 12 inches below the edge of visible infection. After each cut, surface sterilize all tools used in pruning. Spray tools with Lysol or dip tools in 70-percent ethyl alcohol, or a 10-percent bleach solution. Bleach can rust tools, so if you use this to sterilize your pruners, wash them after you’re done and apply a light tool oil to keep them rust-free.